Nigerian Army promotes 123 officers – Royal Times of Nigeria. The Director of Army Public Relations, Brigadier General Sani Kukasheka Usman has confirmed the promotion of 123 officers. 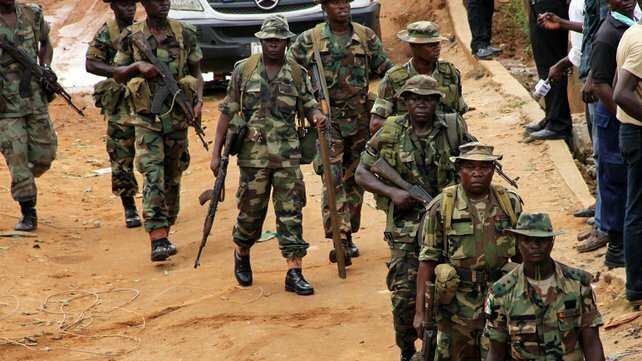 In a statement from his office, which reads, ‘pursuant to the powers conferred on the Army Council by virtue of sections 10 (1) and 11(b) of the Armed Forces Act CAP A20 Laws of the Federation of Nigeria, 2004, the Army Council has approved the promotion of 123 officers from the ranks of Majors to Lieutenant Colonels and from Lieutenant Colonels to Colonels with varying effective dates of seniority’. ‘A breakdown from the Office of the Military Secretary (Army), indicates that 66 Officers were promoted to the rank of Colonels from Lieutenant Colonels and 57 to the rank of Lieutenant Colonels from the rank of Majors. The promotions were sequel to the recommendation of the Army Promotions Board 3 and 4 and it cut across all eligible officers within the rank brackets as reflected in the 2017 Nigerian Army Forecast of Events’. ‘Among those promoted to the rank of Colonels are the Deputy Director, Army Public Relations 7 Division, Lieutenant Colonel KM Samuel and Lieutenant Colonel OO Diya of 707 Special Forces Brigade. Others are Lieutenant Colonel AM Tukur, Commanding Officer of 119 Task Force Battalion, Lieutenant Colonel MB Shehu, Commanding Officer 158 Battalion and Lieutenant Colonel KC Uwa, Commanding Officer 146 Battalion, while one other officer, late Lieutenant Colonel Aliyu Suleman was promoted post humously. Promoted Lieutenant Colonel is the Acting Commanding Officer of 115 Task Force Battalion, Major MD Olaseni, and Acting Commanding Officer of 151 Task Force Battalion, Major OJ Okwoli, amongst others. The Chief of Army Staff congratulates all the benefiting officers and urges them to redouble their efforts in the discharge of the responsibilities attached to their new ranks.